After I returned from a month-long backpacking adventure, I learned that the Cleveland Foundation (@CleveFoundation) launched the new Ctrl + Alt + CLE group. Although I missed the first meeting on September 6, 2018, #CtrlAltCLE Convenes: Tech & Digital Equity, it dealt with a topic that I am very interested in, so I knew I should make it a point to attend future meetings. Fortunately, I was able to attend the second #CtrlAltCLE meeting, and a special #CtrlAltCLE blockchain training for nonprofits/government. Both of the events I attended took place at DigitalC MidTown Tech Hive (@DigitalC_org - @MidTownTechHive), which is a "creative space to cowork, root companies, hold events, and take technology skill building classes." I first visited in April 2018, and wrote about Cleveland's "new tech-centric space" in my Front International blog post. Encouraging technology innovation for social good. Launched in 2018, Ctrl + Alt + CLE is a collaborative effort to provide resources and opportunities for individuals and organizations to find innovative solutions to community needs through the use of data and technology. Ctrl + Alt + CLE offers special events, access to co-working space at the DigitalC MidTown Tech Hive, hands-on data and skills training, and challenge grants. By providing these resources, Ctrl + Alt + CLE aims to convene and empower those working in our region’s data, tech and civic ecosystem to improve the quality of life in our region through innovation. On the first Thursday of each month, Ctrl + Alt + CLE hosts free events focused on various topics related to civic tech and digital inclusion. These Ctrl + Alt + CLE Convenes events are free to attend and open to the public. The Digital Excellence Initiative web page is a good place to visit to learn more, since it is being updated as major new initiatives are announced. Also, be sure to follow #CtrlAltCLE on social media for news and updates! I RSVP's to go to @DigitalC_org's @MidTownTechHive for the @CleveFoundation's "#CtrlAltCLE Convenes: Digital Equity & Inclusion" to discuss data, civic tech & digital inclusion. Hear from @CleveFoundationâ€™s â€œ#CtrlAltCLE Convenes: Digital Equity & Inclusionâ€ panelists how @CuyahogaHousing is working with @DigitalC_org to bring Internet to seniors and others in CMHA housing. I had a most interesting and enjoyable evening at a @CleveFoundation sponsored meeting at @MidTownTechHive which I then followed with a great play at the @BeckCenter. Read the details of all the components of this multifaceted strategy in the full press release here. It was really exciting to read how the Cleveland Foundation was moving forward on this project so soon after learning more about this topic at the #CtrlAltCLE Convenes: Digital Equity & Inclusion panel discussion. All you need is a @CuyahogaLib or @Cleveland_PL #library card! Great report @HomaBashWEWS about news from @leon_clevefdn of @CleveFoundation! Homa Bash's article also included a National Digital Inclusion Alliance - NDIA (@NetInclusion) interactive map, which I have embedded in this blog post. See more in Informing Strategic Investment in Digital Equity: Interactive Maps on the NDIA website here. Join us Thursday, November 1st for #CtrlAltCLE Convenes, a monthly series of gatherings at the Digital C MidTown Tech Hive presented as part of the Cleveland Foundation’s Ctrl + Alt + CLE collaborative. The Nov. 1st convening will be a discussion focusing on ways nonprofits and local government agencies can use blockchain to help address issues facing their organizations and the people they serve. This convening is in support of our Blockchain for Social Good Challenge. As always, this gathering is free and open to the public. The Cleveland Foundation's Chief of Digital Innovation & Chief Information Officer Leon Wilson (@Leon_CleveFdn) and Digital Innovation Fellow Joshua Edmonds (@JoshEdmonds216) hosted the meeting. Leon Wilson presented an excellent introduction to blockchain. I used my @sos_jr Twitter account to share my notes during the meeting. I particularly recommend opening and viewing the videos in the tweets below to to learn some of the basics about blockchain. I want to commend Leon Wilson for how he used these videos -- he paused the videos multiple times to provide resources beyond what was in the videos, and answered questions from attendees. I highly recommend attending #CtrlAltCLE meetings, since the information shared by presenters and attendees goes way beyond what you could learn just watching these videos alone. Talking #Blockchain in #Cleveland at @DigitalC_orgâ€™s @MidTownTechHive at the â€œ#CtrlAltCLE Convenes: Blockchain for Social Goodâ€ meeting sponsored by the @CleveFoundation. At â€œ#CtrlAltCLE Convenes: Blockchain for Social Good,â€ @leon_clevefdn says he likes Scope-A-Thons. Spend time identify concept & get support to find the right #Blockchain solution. Use code to create cryptographic hash to represent content. Digital signature. Programmable code that is secure and is time stamped. Distributed content that canâ€™t undo. Via @leon_clevefdn at @CleveFoundationâ€™s â€œ#CtrlAltCLE Convenes: #Blockchain for Social Goodâ€ meeting at @MidTownTechHive. It was great that you took the time to not just show the videos, but stopped them to add additional info & detailed examples. At #Cleveland "#CtrlAltCLE Convenes: #Blockchain for Social Goodâ€ in @DigitalC_orgâ€™s @MidTownTechHive, I heard @leon_clevefdn mention @ethereum. I recommend attending #CtrlAltCLE mtgs sponsored by @CleveFoundation. The Challenge welcomes nonprofit leaders, public sector leaders, collegiate and professional innovators interested in addressing local social challenges via the use of blockchain-driven solutions. The Challenge is open to teams of 4 individuals or less who are at least 18 years of age. The deadline to submit a concept is Thursday, November 29, 2018. At the Thursday, November 1, 2018, #CtrlAltCLE Convenes: Blockchain for Social Good meeting, I also learned about the Blockchain for Social Good Challenge prize money. Follow @CleveFoundation on Twitter to watch for more information to be posted on their website. The prize winners and details about the additional support provided for the winners' projects will be announced at the Blockland Cleveland (@BlocklandCLE) Solutions Conference on December 1-4, 2018. The Cleveland Foundation's Leon Wilson will be joined by Catherine Tkachyk (@CHtkachyk), who is the chief innovation and performance officer of the Cuyahoga County Office of Innovation and Performance (@CuyahogaCounty) to present Blockchain Use & Community Centered Design at the Local Public and Social Sector Levels. Nonprofits and government agencies who are interested should email Blockchain4SG@clevefdn.org to learn more! #Cleveland area #nonprofits, be sure to learn about @CleveFoundationâ€™s #CtrlAltCLE project and the â€œ#Blockchain For Social Good Challengeâ€ at the @BlockchanCLE conference for $ prizes and also support from @ChainNinja. Lynda.com Business and Technology Classes -- FREE with Library Card! While it was not mentioned at the two #CtrlAltCLE Convenes meetings I attended, I thought it would be appropriate to mention how our local libraries offer FREE online technology and business classes through Lynda.com (@Lynda). On November 1, 2018, I now learned via a Euclid Public Library @EuclidLibrary tweet that Ohio Public Library Information Network - OPLIN (@OPLIN) and the Ohio Library Council (@OhioLibraryCncl) have come together to offer FREE Lynda.com (@Lynda) at all Ohio public libraries. It is clear how this library resource addresses the issues brought up at the first #CtrlAltCLE meeting I attended regarding digital equity and inclusion, but I was most interested to do a search for "blockchain" on Lynda.com. I found listed one beginner class and 13 intermediate level blockchain classes. Great news from @EuclidLibrary about @OhioLibraryCncl & @OPLIN offering FREE @Lynda #tech & #business classes at more #Ohio #libraries!! Good people in the Ohio Twitterverse, please share @EuclidLibrary's video tweet! Did you see? 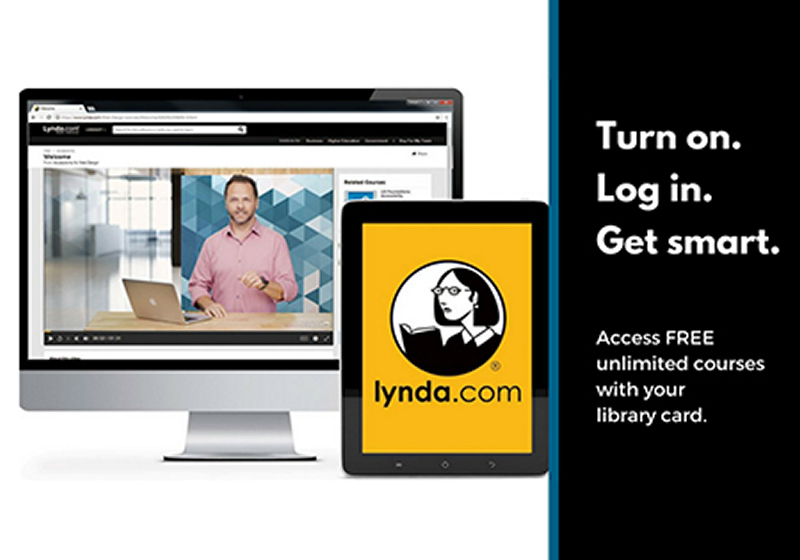 Beginning Sept. 1, online courses from @Lynda will be available free to Ohioans with a valid library card. The @OhioLibraryCncl and @OPLIN are partnering with @LinkedIn to provide this first-of-its-kind collaboration. With my experience running the Web Development Special Interest Group - WebSIGCleveland.org for ten years, I know firsthand the value of attending tech meetups. Thank you, Leon Wilson (@Leon_CleveFdn) and Joshua Edmonds (@JoshEdmonds216), for starting Ctrl + Alt + CLE to bring Cleveland area talent together to address the issue of digital equity. It is a subject that I find very interesting. I look forward to seeing how this group evolves to address important issues in our community at future meetings. I highly recommed you attend, and be the first to know about what is happening in the area of digital inclusion in our community! Be sure to watch for #CtrlAltCLE announcements on social media for news, updates, and meeting information. After attending some meetings, please share with others what you learned using the #CtrlAltCLE hashtag.